I used Essie Mink Muffs as a base, with American Apparel Cotton sponged on top to give the marled look of the sock, for the forehead and mouth area I also used American Apparel Cotton. For the red, I used a mix of China Glaze Salsa and Zoya Angelina. For the eyes, nostrils, and mouth line, I used American Apparel Hassid, and also mixed American Apparel Hassid with American Apparel Cotton for the highlighting on the button eyes. Topped everything off with 2 coats of Seche Vite top coat. Now that's one funky monkey. I love that commercial. Nails are cute! I love that commercial too! And I always look forward to getting your new nail post. You're so talented! Thats a great commerical! 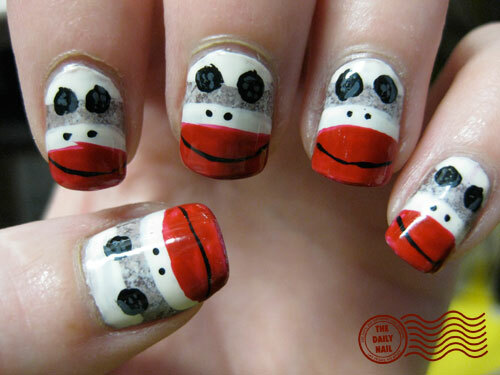 I love the Sock Monkey Nails, my parents still have my sock monkey from when I was little! 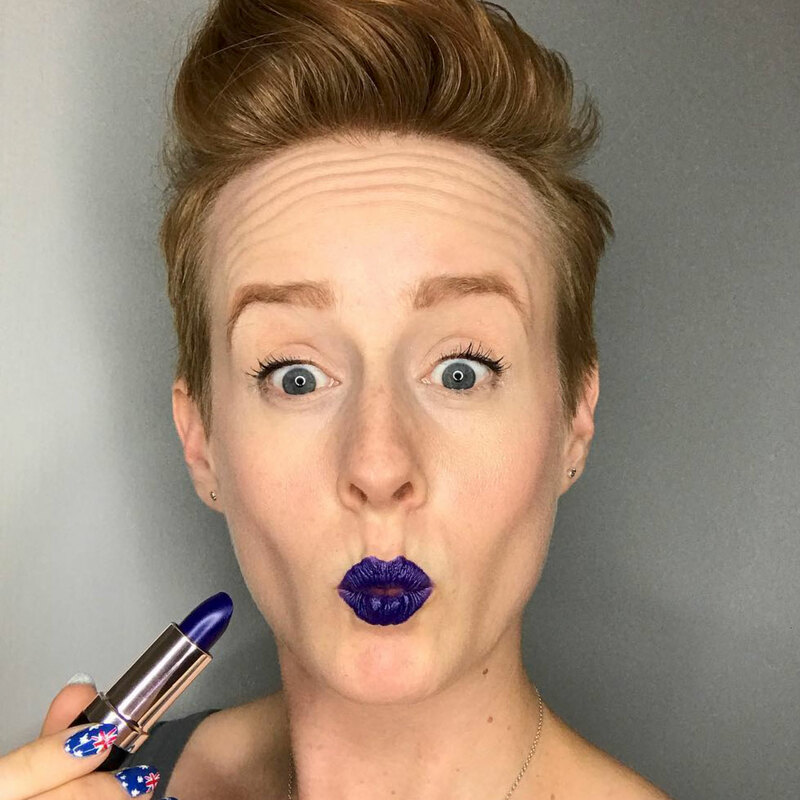 These made me laugh out loud when the page came up- so much fun! I recently met someone who had no idea what a sock monkey was. And no, they weren't from another country. I told them I could not even imagine how someone could have escaped the ubiquitous sock monkey!!! Are there other sock monkey virgins out there? This is awesome, I make sock monkeys and this look is brilliant! But, Harry Potter nails...pretty please? Sock monkey nails make me very, very happy. That commercial is so great! I have to knit myself a sock monkey someday. :) Love these nails, super cute! It's very funny!! I do not know this commercial, but I thought the nail art is very fun! The Kia commercial is one of my all time favorites, along with the Potatohead one from last year. I LOVE your nails! I love how you managed to get the gray part of the sock to look speckled with white. It looks exactly like a real sock! This is just fantastic! I love sock monkeys so much. This makes me very happy! Will you, like, marry me?